A mixed box of chocolates selected from our award winning fine handmade ganaches and pralines. 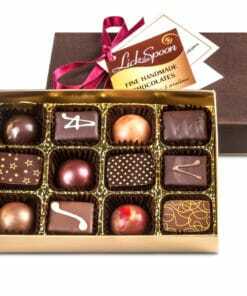 A mixed box of chocolates selected from our award winning fine handmade ganaches and pralines including dark, milk and white chocolates. Ordered these as a gift for someone. The delivery arrived on the day as requested. Excellent service. Thanks to everyone involved. Will def use again. The mixed box of chocolates was ordered and delivered on time for my wife’s birthday. The outstanding excellence of these chocolates was matched only by the after-sale service from Matthew and Diana. I would not hesitate to recommend this company. Absolutey superb. 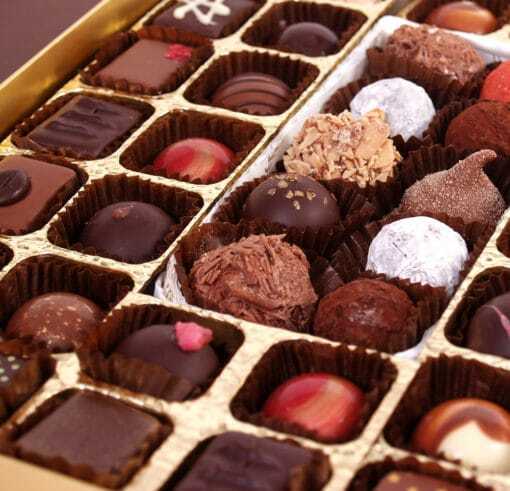 The most sublime and delicious chocolates ever – just let them know the type of chocolates you like and relax knowing you will be sent a range of gorgeous chocolates that will make you smile. My ultimate favourite is the Aztec Gold, however they are all vastly superior to other chocolates you can buy in stores, and significantly better than other bespoke manufacturers – guaranteed satisfaction and superb people! Fantastic chocolates and nice for me to support a local business. Some of my order got missed over the Christmas rush but the service to put it right was above and beyond anything else. Will definitely be back to purchase more. These were a gift so I didn’t try them but I’ve been told they were utterly delicious! The delivery was very quick and very good. Used LTS for this first time this year for our client’s, excellent feedback and we had some too. Delicious! Very good chocolates beautifully presented. Have bought 2 lots and will again. Were sent as a present for a friend following an operation. She loved them. Have sent these before to others and always been well received. 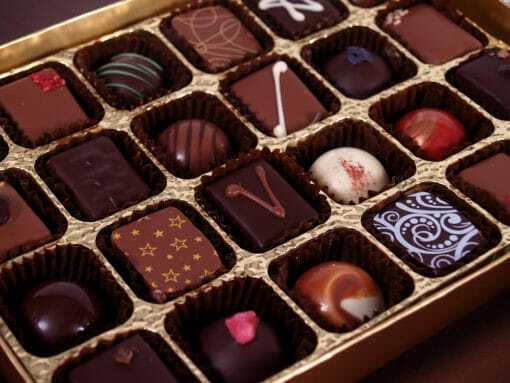 To say that I love every one of these gorgeous chocolates would, of course, be an exaggeration: I love nearly all of these delights. Don’t get me wrong though, the remaining ones are still outstanding and are preferred by my wife! Excellent quality! We love it and everyone who got it as a present were extremely satisfied. We love trying out different artisan maker’s selection, we tried a few from Artisan du Chocolate, Rococo Chocolate and more. 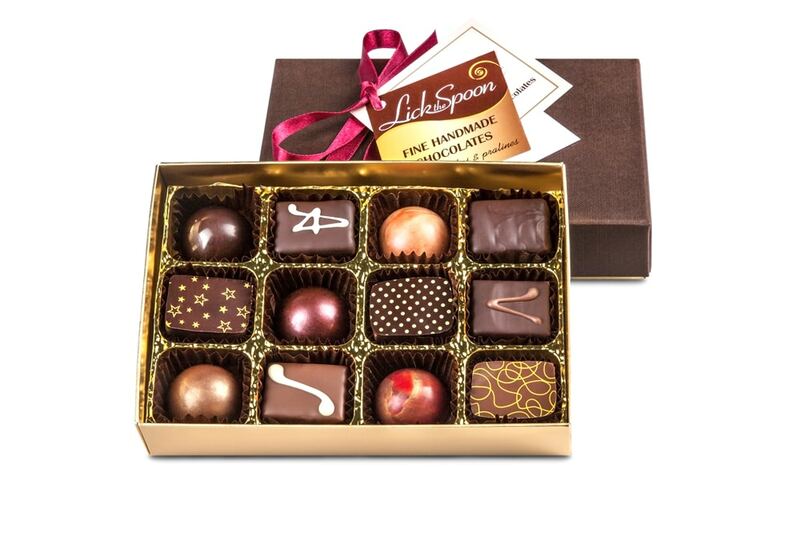 We like the mixed chocolate box from Lick the Spoon the most. Cannot fault it. And we love it that you talented people are local to us. There is no situation or trouble these beautiful gifts can’t get you out of. From high court judges to ex wives, all will forgive once they open & taste. Take advice from an old hand. The bigger the offence the bigger the box. However, LTS probably won’t make the size of box I’ll need when the new wife finds out I’ve bought a new car. Beautiful chocolates – my friend was delighted!